This 4-star hotel situated in the center of downtown Brussels is the ideal place to stay when visiting Belgium’s capital. 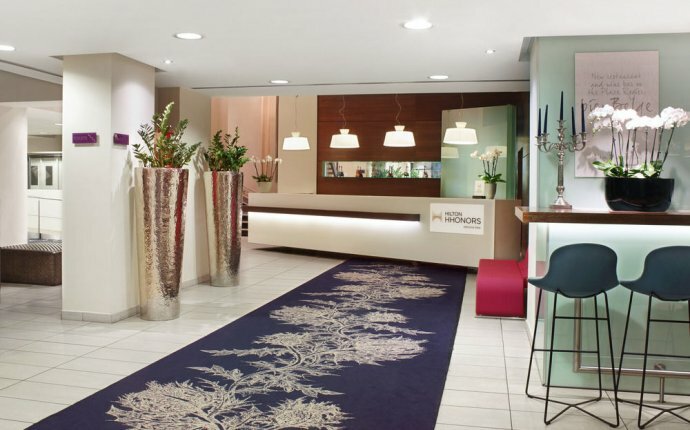 Just a short walk from the Rue Neuve shopping area, the Rogier Metro station, and the World Trade Centre, the Hilton Brussels City is at the heart of one of Europe’s most vibrant cities. Brussels-North Railway Station is only 0.4 miles (600 meters) from the hotel with an Express train to Brussels International airport which takes just 15 minutes. Renovated in 2013, this smoke-free property has a 24-hour business center, and wireless Internet access is free in public areas. After a busy day in Brussels or a long journey, guests can relax and rejuvenate in the luxurious Scandinavian Wellness and Health Club featuring a sauna and hammam or work out in the 24-hour fitness center. Enjoy traditional Belgian specialties at restaurant Bien Belge Living Lounge or sip a cold Belgian beer or fine wine at this stylish wine bar in an elegant, casual setting.